Meadow wallpaper features delicate watercolor weeds on a fresh white background. Did you know our papers are FSC Certified? FV is focused on maintaining environmentally responsible materials and methods of production. Did you know that pure white is often a difficult color to use because it picks up other nearby colors? Soft colors are soothing. Try them in your bedroom. Sleep well. A room of your own. We’re here to help you. 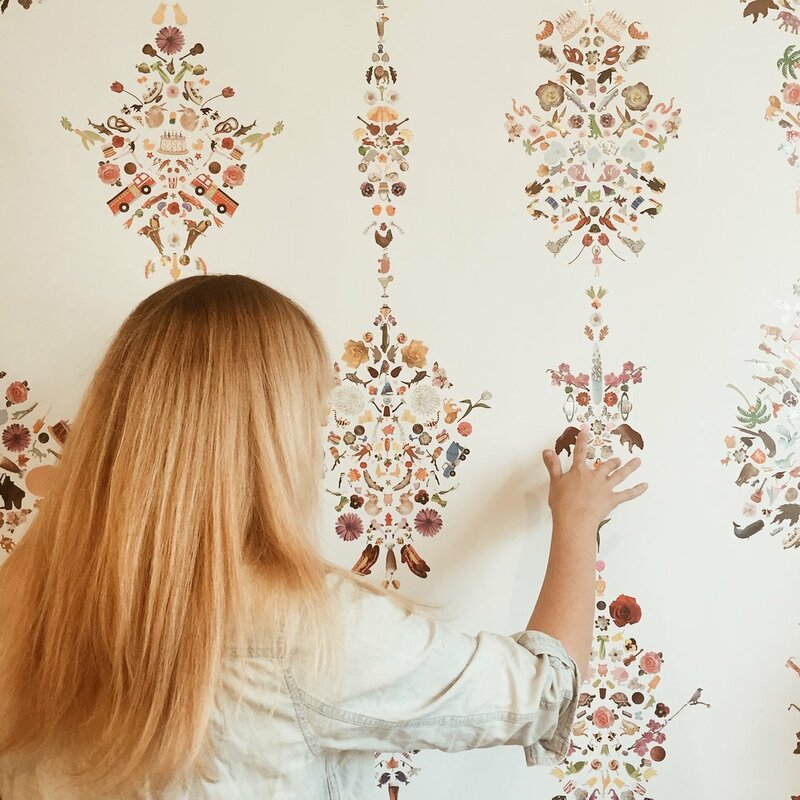 Whether you have questions about hanging wallpaper or matching paint swatches, we’ve got your back. Drop us a line. Flat Vernacular is more than your average home decor shop. When you work with us, you’re hiring lateral thinkers with expert creative skills. Let us help you find a style you love–or work with you to create a new one altogether. Flip through our Field Guide. In search of fun? What about new stuff to read? Haven't found a new artist to obsess over? The Field Guide is all the things- plus an insider's look at FV. Click below to join the conversation. Need wallpaper and fabric styling ideas? Try thumbing through in situ! We understand it can be tough to imagine prints inside of spaces. For inspired ideas of how to use our wallpapers and fabrics, look no further than In Situ. Click below to see how different patterns have been used, plus meet some of our very favorite interior designers!